Is Body Odor In A Child Normal? Sweating in children is normal. So is a little smell from their clothes and body when they have been physically active all day. Body odor in kids is not as apparent as it is in adults but it can sometimes be similar to that of grown-ups. Most times, regular bathing and proper hygiene can beat the odor. Other times, you may need medical intervention. 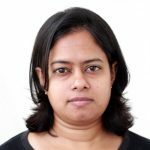 MomJunction tells you what causes body odor in children and how you can help your child deal with it. Body odor is caused when bacteria acts upon your sweat. To understand body odor, it is important to understand the anatomy of sweat. We have two types of sweat glands: the Eccrine sweat glands, which are present throughout the body, and the Apocrine sweat glands, which are limited to the perianal region and the armpits. The Eccrine sweat glands release sweat when you have fever, eat something spicy or when the temperature is high and conditions are hot. The sweat secreted by these glands is water-based and maintains an ideal body temperature. The Apocrine glands are sensitive to adrenalin and can release sweat whenever you indulge in physical activity or experience any emotion like fear, anxiety and stress or when you are sexually stimulated. The sweat released by these glands is oily, opaque and odorless. But it can create odor on interaction with bacteria on the skin or clothes. In children, sweat is usually produced by the Eccrine glands. The Apocrine glands become active only during puberty. Children emit body odor that is not noticeable. Babies and children aged under eight do not usually have an odor. However, teenagers and preteens nearing or entering puberty may have a distinct odor. So if you get a whiff of bad odor from your 12-year old or teenager, it could simply be a sign of puberty. Girls reach puberty earlier than boys. So if your little girl has started sweating and smelling like an adult even around eight years, it is a sign that she is growing. Boys, however, start emitting body odor after the age of nine. So if your three-year-old is getting smelly like adults, it is unusual and should be taken care of. Night sweats: Your kid may sweat during his or her sleep. You can deal with bad odor in your child if you know what’s causing it. Here is a note on the common causes of bad odor in children. Poor hygiene is one of the most common causes of body odor in kids. Irregular bathing, not washing the armpits and groin region, bacteria accumulated in the clothes can lead to bad odor. If your child refuses to take bath regularly, she might smell when the bacteria on the skin contacts sweat. What you put into your body is what comes out. So the food you eat has a direct correlation to body odor. The food that your kids eat affects not only their breath but also odor. They may start to emit bad odor after they eat smelly foods like garlic and onion. After these foods are digested, their smell seeps through the pores of the skin and generates odor. Red meat has an amino acid derivative called carnitine. Too much of carnitine can create a “fishy” body odor (1). Milk contains a protein that can take longer to digest than other foods. So excess consumption of dairy products can lead to release of methyl mercaptan and hydrogen sulphide in the body, causing a foul smell to emanate. The chances of body odor due to dairy may be higher if the child is lactose intolerant (2). Processed foods made from flour, especially those that lack fiber. Foods with sugar, onion, garlic and other spices. Smelly foods like fish, eggs, and legumes. Adrenarche is the term used for early sexual maturation in kids. It is caused due to increased production of certain hormones like DHEA. Adrenarche is one of the early signs of puberty and results in physical changes like the emergence of pubic hair, underarm hair, acne, and change in body odor. Some kids may also grow taller than the average height of their age. Premature adrenarche is seen in girls aged under eight and boys aged nine or less. Puberty is the phase where young girls and boys attain sexual maturity. Girls reach puberty between the ages 10 and 14, while boys reach the stage between 12 and 14. 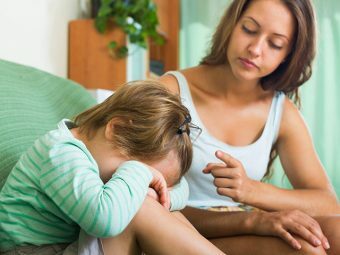 During this time, children go through a lot of hormonal changes that lead to variations in their body and behavior. One among the key changes that you will notice in a child going through puberty is body odor. So if your child falls within this age group, body odor is normal and should not be a cause for concern. Phenylketonuria or PKU is a metabolic error that a child is born with. 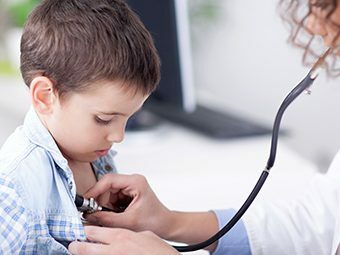 Kids with this disorder do not have phenylalanine hydroxylase, an enzyme that is needed to break the essential amino acid called phenylalanine. Phenylalanine is responsible for producing melamine, which plays an important role in the coloring of skin and hair. If PKU is not treated immediately, the child can have a ‘musty’ odor coming from his skin, ear wax, breath and urine. The condition can also cause rashes on the skin, which in turn can result in body odor. Trimethylaminuria or TMAU is a rare condition that is caused due to abnormal production of the enzyme named flavin. TMAU is a metabolic disorder that prevents the breaking down of the chemical trimethylaminuria into trimethylamine oxide. This results in accumulation of the chemical causing smelly urine, breath, and sweat. The odor caused due to TMAU is a pungent, ‘fish-like’ smell, which is why TMAU is also known as the fish odor syndrome. Hyperhidrosis is the medical name for the condition that leads to excessive sweating in a person. 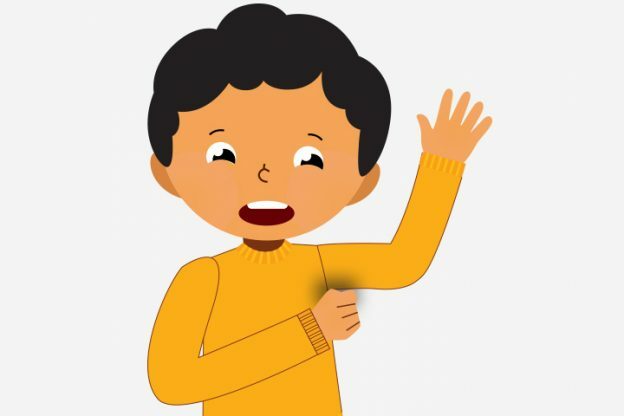 If your child is sweating more than he generally does to maintain normal body temperature, he may have hyperhidrosis. 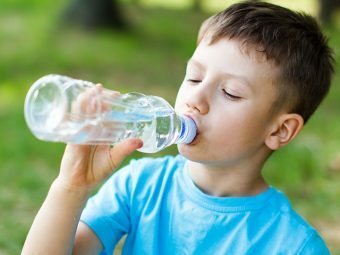 The condition is common among children and teenagers and is usually triggered by excessive consumption of carbonated drinks like soda and spicy food, exercise and anxiety. General hyperhidrosis results in sweating all over the body and not just the underarms. The condition can be caused due to an infection, hormonal imbalance due to puberty, or a chronic condition. Focal hyperhidrosis is a condition where sweating is limited to a specific part of the body. Kids with hyperhidrosis may also emanate body odor in some cases. Body odor caused due to hyperhidrosis is known as bromhidrosis or osmidrosis. If your kid has a distinct body odor, it could sometimes be due to an underlying medical condition like diabetes, kidney or liver problem or inflammation (3). For example, people with diabetes could smell something like a rotten apple. If the person has a kidney or a liver problem, he or she could smell like ammonia. In the case of typhoid fever, they could smell like baked bread. Disease gives the body a distinct smell, which enables medical professionals to identify the condition quickly and easily. Your kids can have smelly armpits due to any one of the above reasons. But more often than not, an underarm odor is simply the result of poor hygiene, smelly clothes, or excessive physical activity that results in perspiration. If the armpits are the only place where there is body odor, then it could be a sign of precocious (early) puberty. Puberty leads to growth of underarm hair, where bacteria can accumulate. If your child has underarm hair, he will have smelly armpits, especially when they sweat. Maintaining personal hygiene tops the list of things you can do to maintain personal hygiene. If your child is aged eight or less, teach them about hygiene and help them be clean. If you have a preteen, talk to him about the importance of hygiene. Make your kids wash their body every day, including the groin, armpits, and feet. Make sure your child wears clean clothes every day. Discourage them from wearing the same trousers, jeans or skirt for more than a day. Check if their clothes are clean and smell fresh. Sometimes, wet weather and moisture can make clothes smell musty even after they are washed. Dry the clothes under the sun and use a fabric conditioner to make clothes smell fresh. Ensure that the kid’s clothes and shoes are completely dry before they wear them. Drinking plenty of water helps in eliminating the toxins in the body and reduces the chances of body odor. If your children drink cow milk, replace it with organic, soy or almond milk. That can help at times. Avoiding certain foods that cause body odor usually solves the problem. Including aromatic herbs like sage and rosemary and increase the intake of green leafy vegetables. The chlorophyll in the plants is a natural body cleanser. If your kid has bad body odor in spite of all the above, seek medical help immediately. In the case of bromhidrosis, which is defined by a pungent body odor due to excessive sweating, the doctor may prescribe topical anti-bacterial creams that can help reduce the smell. They may also recommend the use of drying agents that can avoid excessive sweating and maintain a dry environment, preventing the bacteria from growing. Topical application of medications containing aluminum chloride hexahydrate may be recommended in case of excessive sweating in armpits. The same can be used for controlling sweat in hands and feet. Although there is no cure for phenylketonuria, medical treatment prevents the disabilities and health issues that it can cause in kids (4). Doctors may also recommend a specific diet that includes high-protein foods to fight PKU. 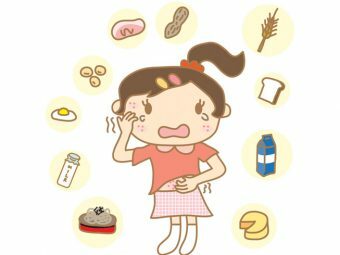 If body odor is caused due to trimethylaminuria, a change in diet to reduce the production of trimethylamine can be recommended. Foods like fish, eggs, milk, peanuts, soy products and cabbage have to be avoided. The doctor may also prescribe antibiotics for preventing the growth of bacteria and laxatives to ease bowel movements and reduce the amount of trimethylamine produced in your gut. Adrenarche is just an early onset of puberty, for which there is no treatment. In such a case, the best you can do as a parent is to help your children deal with the changes. Alongside the medical treatment, if any, you can try these home remedies to deal with body odor in your child. Add a few spoons of lemon juice to your kid’s bath water. Lemon juice increases the pH levels of the body and keeps it dry, thereby preventing growth of bacteria. Kids have sensitive skin, so dilute a spoon of lemon juice with a cup of water and dab your child’s armpits with a cotton ball soaked in that liquid. Leave it for 10 minutes and wash it off with water. Doing this once a day can help beat bad odor. Add two cups of tomato juice the water into your kid’s bathtub and let them soak in it for a few minutes. You can also use the water to bathe. This can help fight body odor in children. Apple cider vinegar is a natural cleanser and can help minimize body odor. Dab a cotton ball soaked in apple cider vinegar on the armpits and other parts of the body a few minutes before giving your kid a bath. Repeat it twice a day before bath for best results. Rosemary has menthol and chlorophyll, which act as natural deodorants and fight odor-causing bacteria. Boil a cup of rosemary leaves in a cup of water and add that to your kid’s bath water. Let the kid soak in the tub for at least 15 minutes, and then pat him dry. Alternatively, you can also add rosemary oil to the bath water. Sage is a fragrant herb that can control the hyperactivity of sweat glands. You can boil a cup of dried sage leaves in water and add that to your kid’s bath water. Or, you can create a natural deodorant by mixing sage oil, coriander oil, and lavender essential oil and spray it every day. Witch Hazel has astringent properties and can be used to reduce body odor. Soak a ball of cotton in witch hazel and dab the child’s armpits with it. Remember that these home remedies only fight the odor, but cannot treat the underlying condition if any. There are many misconceptions about body odor. It is important to get your facts right to find the actual cause and get a permanent solution. It is a misconception that sweat smells (4). Sweat is water that has no odor. It creates smell when it interacts with bacteria accumulated on the skin. Deodorants can mask body odor caused due to hygiene issues and puberty. But in the case of body odor caused due to other medical conditions, a deodorant will not help. Some people bathe more than twice a day, but still cannot get rid of the distinct smell emanating from their body. This is because body odor is not always caused due to poor hygiene. You cannot “wash away” the body odor caused due to an underlying condition which needs to be treated with medication. Body odor is not always a result of a physical condition. Genetics or mental conditions like anxiety, stress and depression can also lead to excessive sweating and cause body odor. Body odor in children is usually a sign that they are growing up. But if personal hygiene tips and home remedies to keep odor at bay are not working, it is time to visit a doctor. Do you have any tips to maintain a child’s hygiene and avoid body odor? Tell us in the comments section.